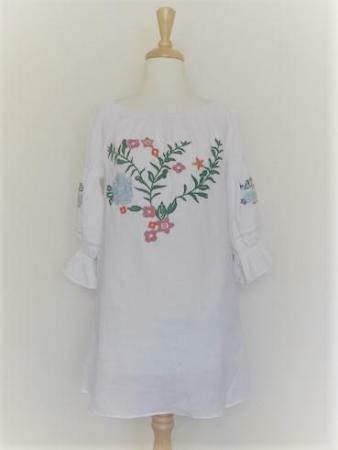 Home / Nursing / Nursing Dresses / Lumen White cotton dress with floral detail – feeding friendly! A lovely dual layer cheesecloth cotton dress – a beautiful breastfeeding feeding friendly addition! A lovely dual layer cheesecloth cotton dress – a beautiful feeding friendly addition! double layer cotton to reduce transparency. embroidery detail on chest and sleeves, crochet detail on sleeves and elastic to create texture on arms.